The Dodge City Community College Athletic Department is proud to announce a new partnership with Guymon Petro Bar & Grill to bring the new DC3 Coaches Show to the community. 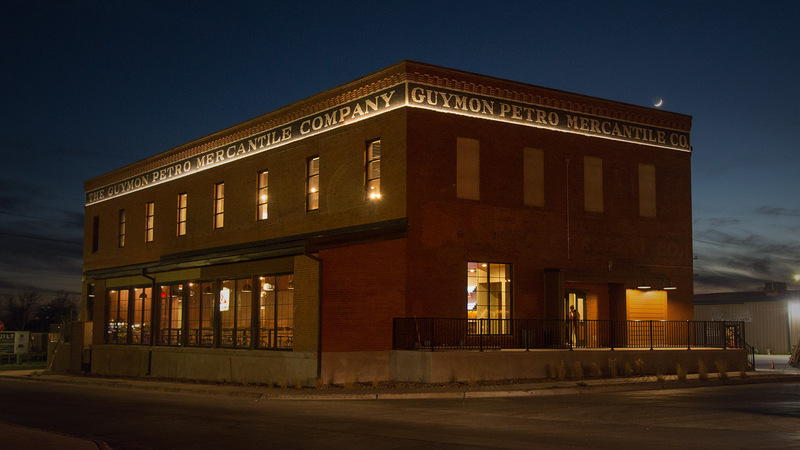 Beginning August 20, Conquistador sports fans are invited to gather at Guymon Petro every Monday evening at 6:30 to be part of the live taping for the show. The DC3 Coaches Show will feature Conquistador coaches and student athletes speaking directly to the community about their programs, discussing upcoming games, recruiting, and special events. Greater awareness and building relationships within the community are key factors that inspired the creation of the weekly show, according to DC3 athletic director Jacob Ripple. “We want people in the community to come to the show and get to know our coaches and athletes personally,” Ripple said. DC3 head football coach Gary Thomas will be on every week throughout the fall, and coaches from other DC3 programs will rotate in during their respective seasons. In addition to Conq athletics, DC3 academic departments will be featured monthly so the community can get a fuller glimpse of campus activity. Guymon Petro is graciously providing two $40 gift certificates each week, which will be given away to lucky fans who attend the taping. Happy hour and other generous dinner specials will also be offered during the show. Ryan Ausmus, a former standout Conquistador athlete and current dean of Workforce Development at DC3, will host the new show. Ausmus is eager to get started and thinks the show is a tremendous chance to build some personal engagement between DC3 athletes and community members. Each show will be aired on Cox Channel 8 as well as YouTube. KDCC AM 1550 will rebroadcast the DC3 Coaches Show every Thursday.